I'm sorry you have this disease in your garden, Shirl, but I'm really glad that you not only know what to do, you took the time to write this post to let others know. A writer friend mentioned dead goldfinches in Halifax last week. I've sent her some information on the disease in Atlantic Canada, thanks to you! 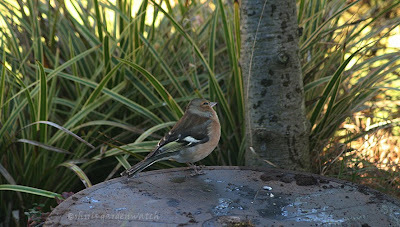 Shirl its been nearly 2 months since I spotted my first diseased bird arriving at the feeders. 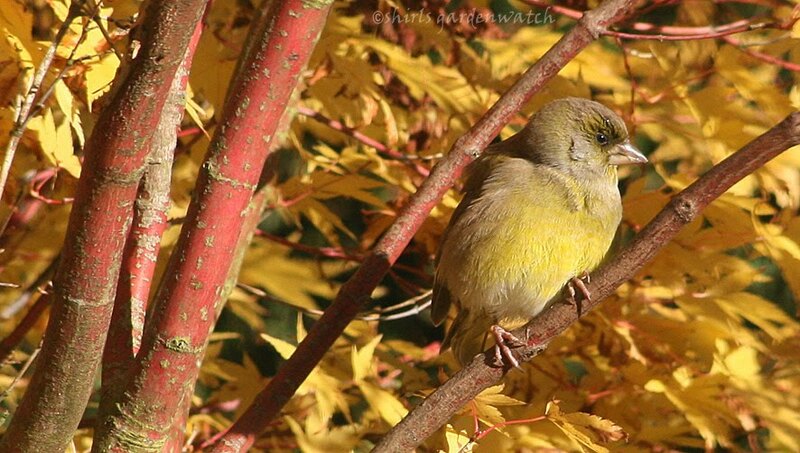 I waited 4 weeks before starting to feed again and the day before the feeders went out another greenfinch appeared in the garden all puffed up and could hardly fly. So yet again I'm waiting another 4 weeks before I resume feeding. Oh Shirl..what a difficult thing to do...It would just kill me to deny the birds in our garden food but..you did the right thing, I think. 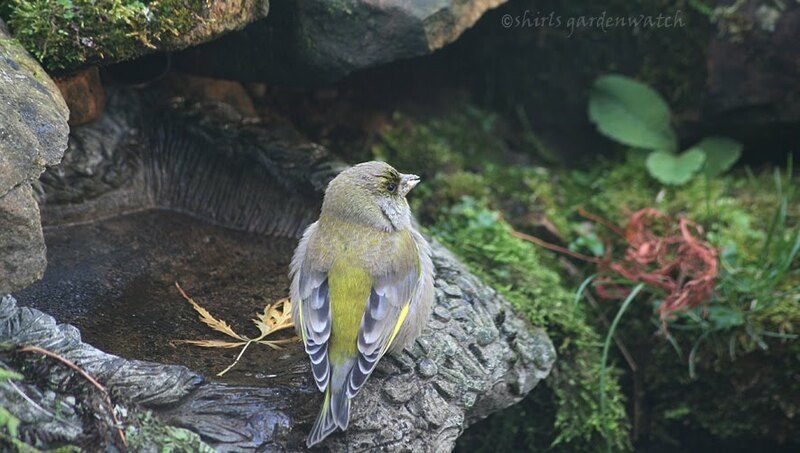 I haven't seen this here, but Jodi mentions goldfinches in Halifax, Nova Scotia, last week..so we will be on the lookout. Thanks for advising about this...so sad. You did the right thing.. It is sad to see this. It seems to run in cycles around here. I don't see any birds with it for months then all of a sudden a few show up...then they are gone. I haven't seen goldfinches with this disease but the House Finches do get it from time to time. It is good that you know what to do to preven its spread. Hello again, Jodi I’m sorry too, but if I hadn’t spotted it the other day (thanks to a breakfast birdcount) more birds would have been at risk to this (very sad to see) disease. Thanks, I had to post on this again. I do mention it when I get the opportunity. I can’t, not show images. I really hope they help. 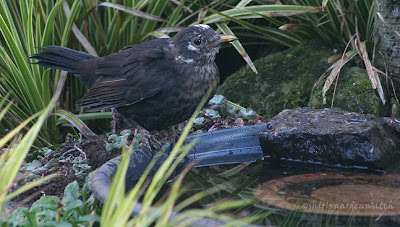 Sadly Jodi, this is not the first time I have seen this in my garden. I first spotted it back in 2007. I think I’ve seen it another time since then. 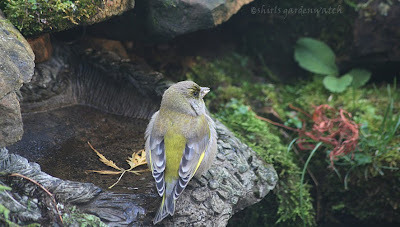 On that occasion it was in a Siskin. Jodi, I had no idea this disease might be appearing in Nova Scotia. 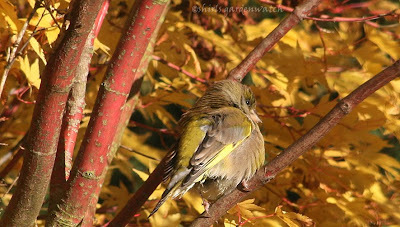 I hope this is not the case and it has been something else that has caused the death of your friend’s goldfinches. If I remember correctly there was another condition/disease that I’ve heard US gardeners talk about some time ago. Can’t remember now what it was though – sorry. Oh Rosie, I am sad to read of the story in your garden. 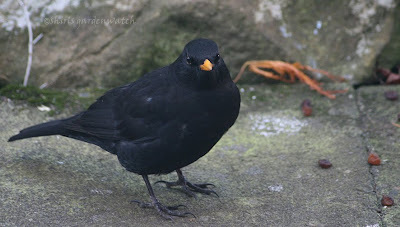 I know how much you will want to put up feeders and feed your visiting birds again especially as it is getting colder. 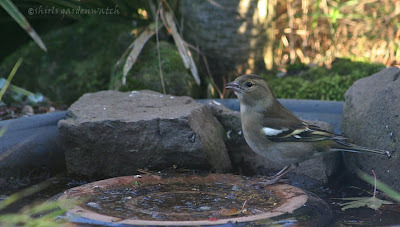 As I said to Jodi above, lots of other garden feeders in a small area will be your problem (mine too). I have heard, birds can have a feeding ‘round’ of up to six miles which doesn’t help in the case of a diseased bird. 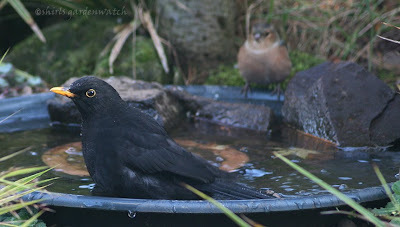 Pre blog I had only been feeding birds for a few months. Now, when I don’t feed the birds my garden feels without life, without soul. I really miss seeing them. I'm not at that stage yet though. 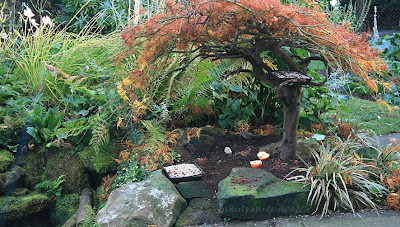 Hello Brenda, it is hard, especially today when it is raining and the garden gets busier. I had my window open for a short while this morning but hearing the birds calling to each other was worse than seeing them. Yes, I am doing the right thing here. It is the only way. In the same way I had to share this story and my pictures of a bird with trichomonosis. Now, that it news to me that you are seeing Trichomonosis in Indiana, US. I didn’t realise it had reached you. As you said it can run in cycles. I hope you don’t see it again for a long time. Yes, knowing how to prevent it is all we can really do isn’t it. I hope this posting helps people ID this condition and then the prevention can begin. Interesting post Shirl. In the US we call this disease Trichomoniasis rather than Trichomonosis. 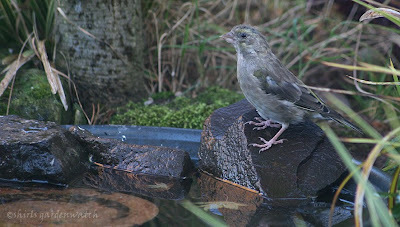 Trichomonas gallinae is the causative parasite, and it seems to primarily affect pigeons and doves here. Songbird infections are relatively infrequent, and more often than not believed to be passed from the parents to the juveniles while feeding regurgitated food to their offspring prior to fledging. 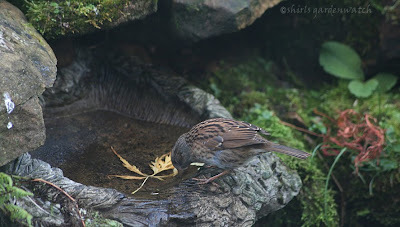 All good advice though, as we can facilitate the spread through feeders and water baths. 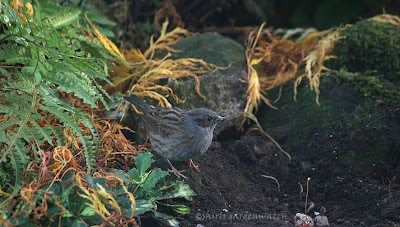 I hope you don't see too many more songbirds in your garden with this condition. 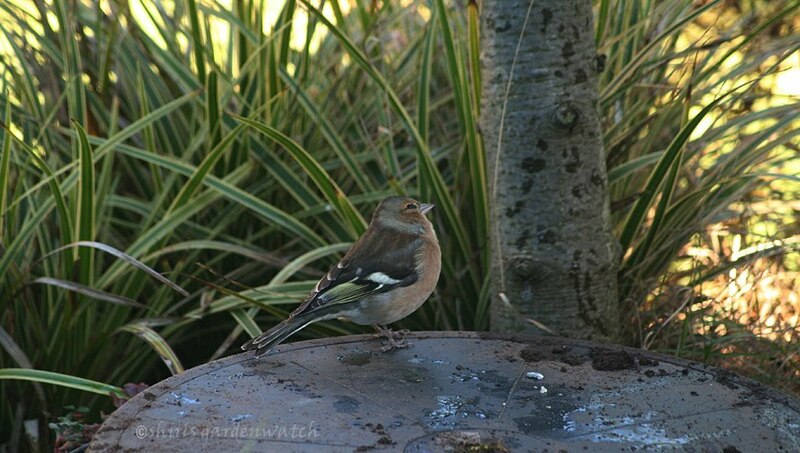 I haven't been aware of this disease wich affects our birds and I haven't seen any sick birds in my garden, but thanks to your blog I will clean my bird feeders out at least once a week. Carol, thanks, I hope by posting on this it helps a little in stopping the spread of this awful disease. Re birds hitting windows I have stickers (of raptors) on mine. I think they help. David, I am delighted that I have passed this info on to you. I hope you never see it in your garden. If you ever do, you will know that you did all you could to prevent it from spreading. 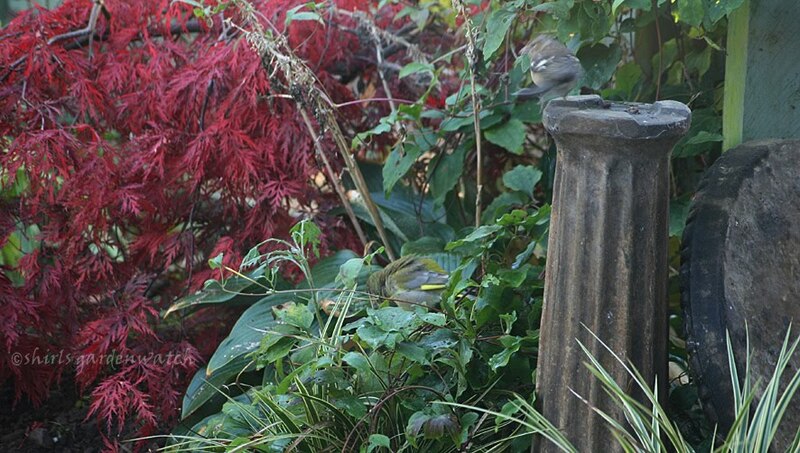 Unfortunately, birds visit more gardens than just ours.